Will Bekki and Zolie have anything to talk about? 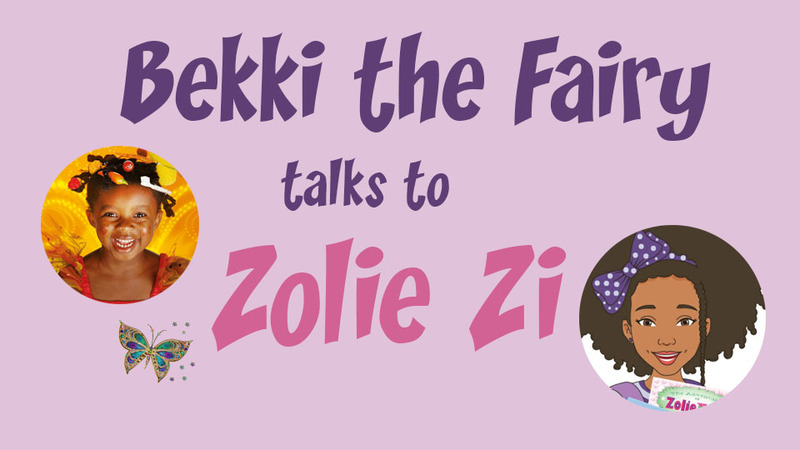 Bekki the Fairy is very excited to meet Zolie Zi, also known by her nickname “Miss Chit Chat”. 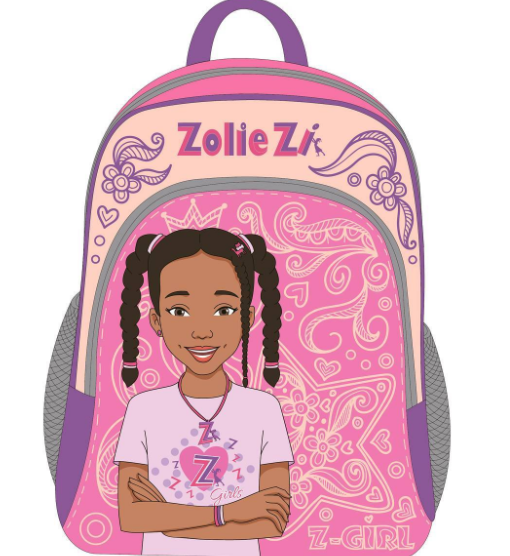 Zolie is the narrator of a series of books set in the Helping Hands Academy for Gifted and Talented Children. Before we start check out the pics of Zolie on this video. She’s a cutie! Bekki: It is good to meet you. My name is Bekki the Fairy and I can do magic. Tell me, what is special about you? Zolie: Hi Bekki! Nice to meet you! Wow, you do magic, that sounds cool!! You will have to show me some of your magic one day! Well, what makes me special is my love of Science. My teacher says that the science that I like is called, Metaphysics and Astrophysics. I would like to build my own space ship one day so that I can travel beyond the light barrier. I am fascinated with space and I want to travel to different planets to see how other kids live. Bekki: If someone tries to bully me or my friends I do a spell to turn them into a slug or frog for few minutes, how do you deal with bullies? Zolie: I usually tell my mom, a teacher and I confront the bully. It is isn’t always an easy thing to do, but somebody has to do it. My mom said that my voice has POWER. Bekki: Who do you think smells nicer, you or your brother? Bekki: I come from London but I am a mixture of Nigeria, Ghana, Brazil, Portugal and Scotland. Are you a mixture? Zolie: Yes, I am a mixture of two tribes from Africa, the Bushmen and Zulu and I am also African American. Bekki: Wow! No wonder you can take on the bullies! Tell me about your doll mommies. Do you have many of them? Zolie: Yes, I have so many doll mommies. I think about 500 or more by now. Bekki: How do school-kids in America react when they meet you? Who was the best person you met? Zolie: Kids get really excited when they see me. It always amazes me to see boys who are really happy to see me, sometimes they even try to cut the line in front of the girls to get to me. The best person that I met was a little girl named Yakini. Yakini was so shy to meet me, but she was my biggest fan, she has everything Zolie Zi. Bekki: What about boys? Do you like boys? And do they like you? Bekki: Is it true you have been to the Bahamas? What other cool places have you told your stories? Zolie: Yes, I have been to the Bahamas two times and I am going back again this year. I have told my story in the Netherlands and Canada. 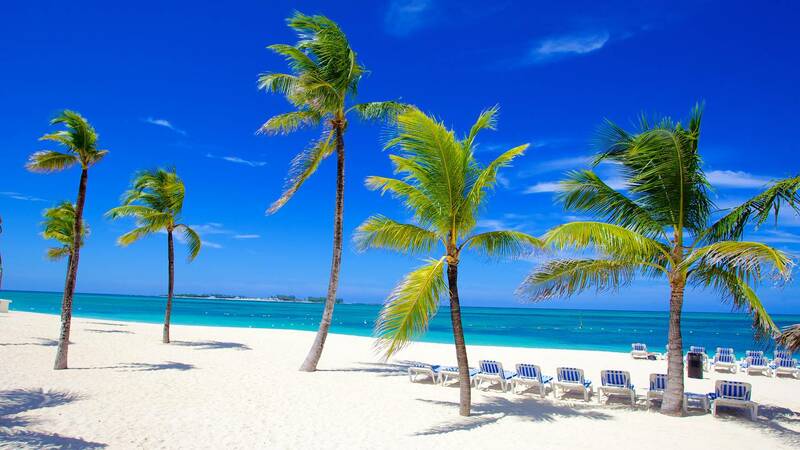 Zolie has been to the Bahamas….jammy! Bekki: My baby-sitter Rose watches Dallas on the TV. Is your life like that? Do you ever wear a cowboy hat? Zolie: No, Dallas has changed a lot. They are building a lot of houses and apartments in the country where I live. Oh yes, I am a true cow girl and I have worn a hat before. I love wearing hats, they are pretty cool!! 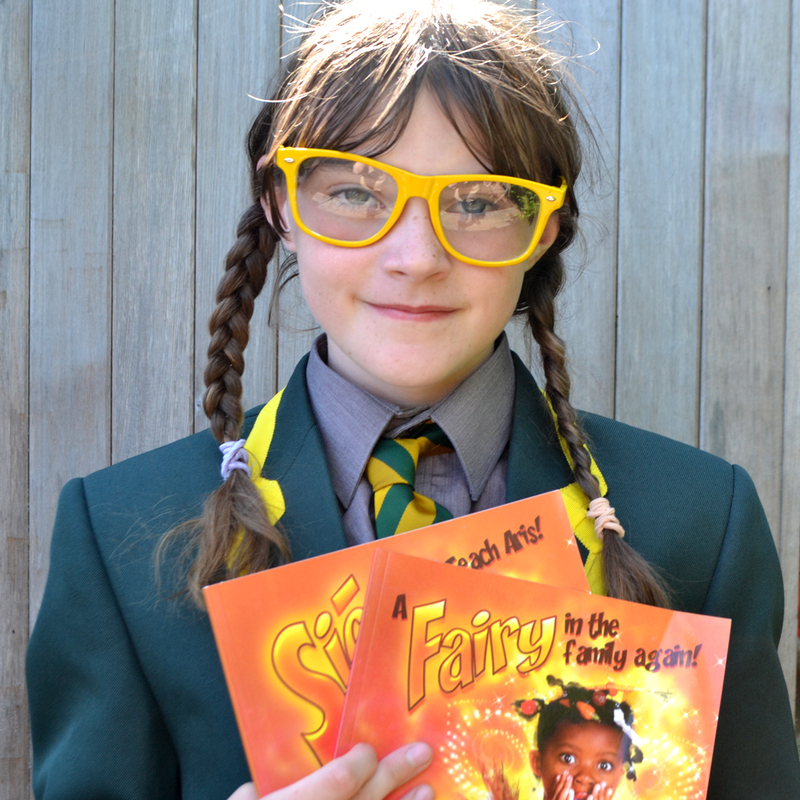 Bekki: Is it true your story was on the radio read out by a very special presenter. Tell me about that, please. 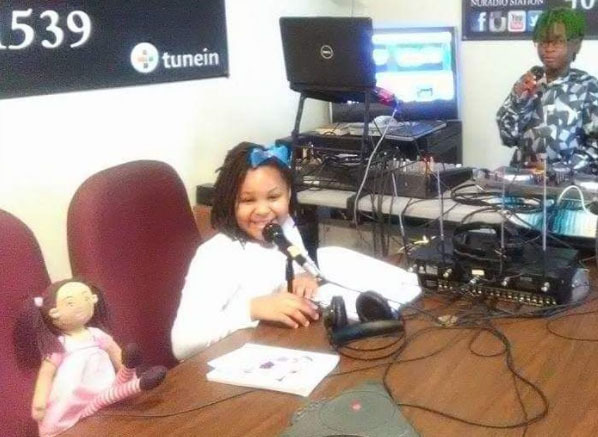 Zolie: Yes, my story has been on the radio several times, but one little girl named Wynter Avery reads my story every Saturday. She read my first book on air and now she is on my second book. Bekki: I live in London and I’d like to be a doll mommy. 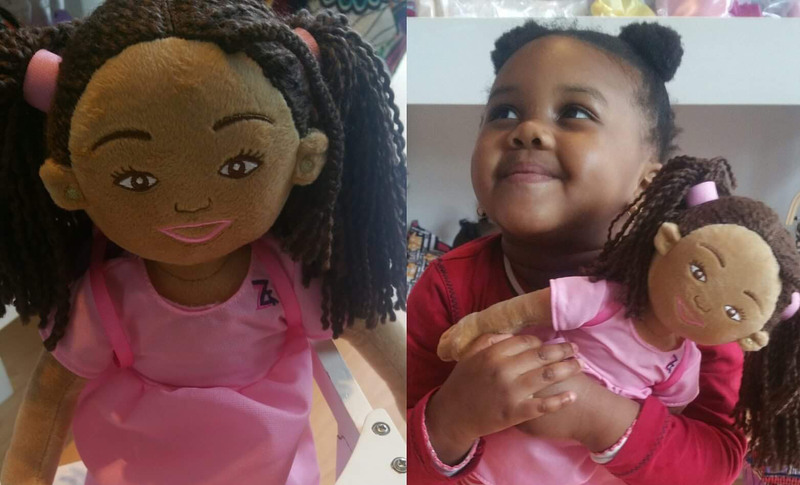 Where can I get Zolie doll? Bekki: My mum gets the fabric for her dresses in the Netherlands. I hear there is a shop called Coloured Goodies where people can buy your things. What can they buy? Zolie: Yes, you can buy my things at Coloured Goodies. They carry my book in Dutch, my new drawstring bag and my doll. Don’t leave bananas at the bottom. Bekki: What do kids in the Netherlands think of you? Zolie: The kids absolutely love me. I can’t wait until they read my book. Bekki: Who wrote a book about you and why? Zolie: My Author Sonya J. Bowser wrote a book about me after being bullied on the job which resulted in her being fired. After being fired, she felt powerless and discouraged. It was the first time that she felt like her voice had no power and was silenced. She decided to use her niece Sariah Martin as my face and Sariah also inspired my lisp because she also has a lisp. When she wrote the story she had Sariah in mind because she noticed that Sariah would be a target for bullying because of her lisp so wanted to use my story to encourage her and other girls/boys to love themselves for who they are. You must never let anyone bully you to make you feel powerless. Here’s how Zolie looks in her book. Bekki: Would you like to come and hang out with me in London? Kids over here would love to meet you. We can go to the Ritzy Cinema in Brixton together and visit the library next door. Zolie: I would love to come. Just let me know and I am there!!!!! Bekki: Thanks for chatting Zolie. Zolie: Thanks for having me Bekki!! Bekki hopes you liked her second ever interview. 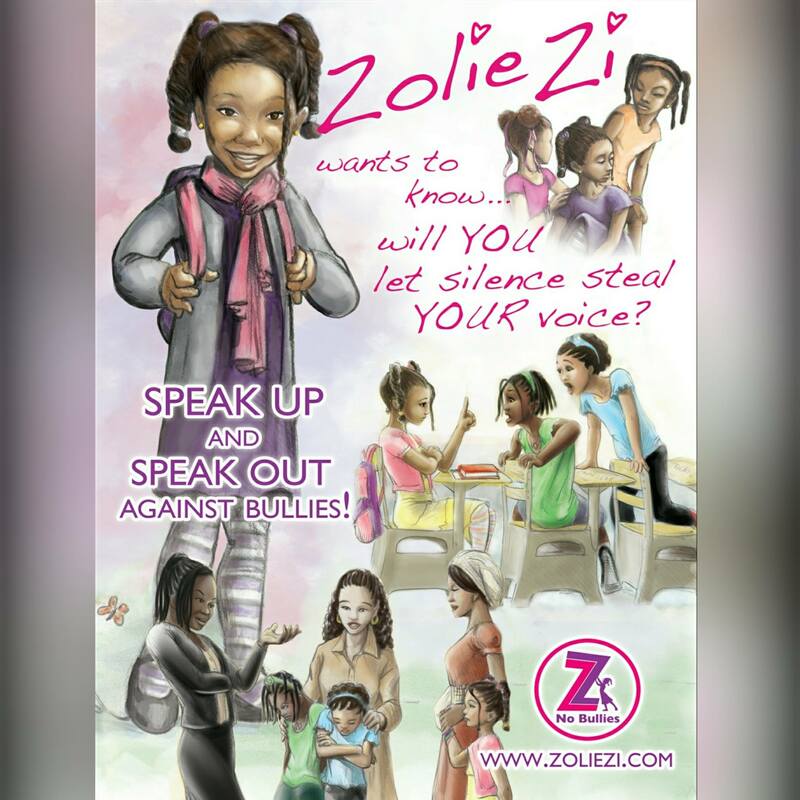 Now she wants be be a helpful fairy and tell you where you can find out more about Zolie Zi. 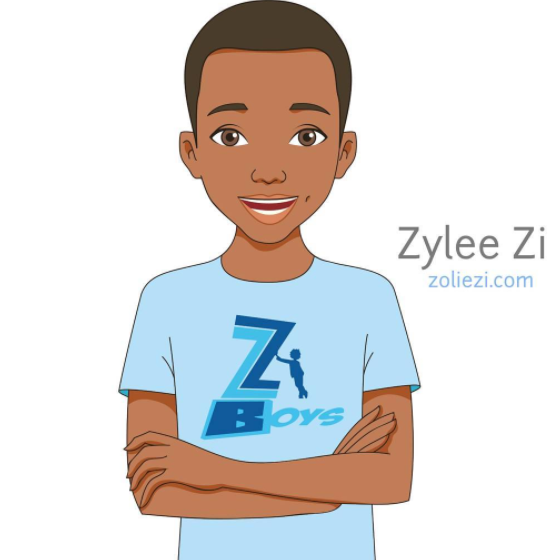 The Zolie Zi website with games and things to buy is here. 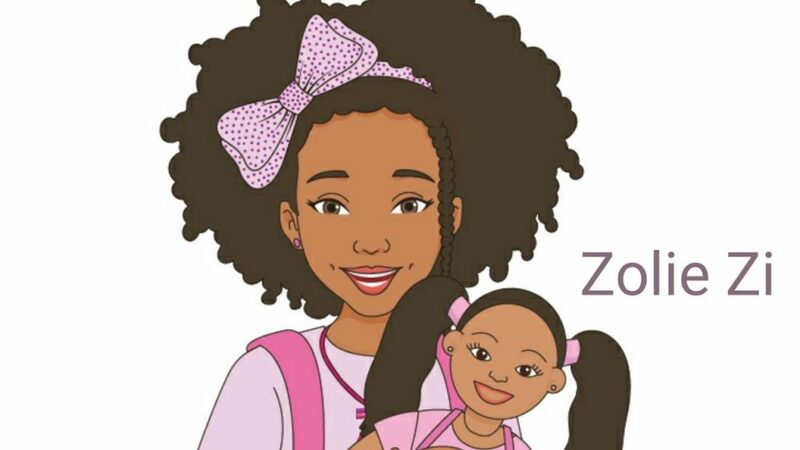 There are pictures of Zolie and her author and her doll mommies on Instagram. 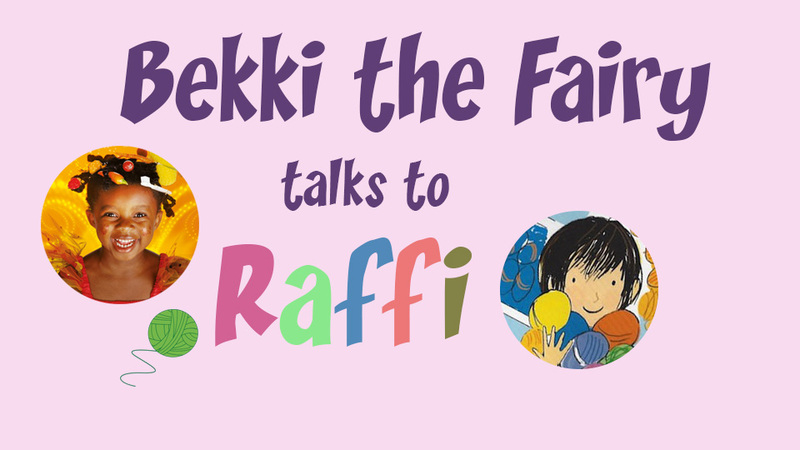 In her first ever blog interview Bekki the Fairy is delighted to meet Raffi the star of Made by Raffi. He tells her why is it cool for boys to knit. Bekki: Hi Raffi. It is good to meet you. I’m Bekki the Fairy and I am a very helpful fairy. Now i should point out that I am a girl. Are you one of those boys who doesn’t like playing with girls? Raffi: Hi Bekki, aren’t all fairies helpful? I like playing with everyone, even adults. The spelling of your name is really cool. Bekki: Back Atcha! That means ‘same to you’. Tell me, what is so good about knitting? Raffi: Knitting is really peaceful. I like to be quiet. It’s a great way to pass the time on a long, boring ride to school. I have to concentrate so I don’t miss a stitch ,and the time flies. Another great thing about knitting is “tinking”. that is knitting backwards – you can always go back and “unknit” any mistakes. Bekki: My granny used to knit. Who knits in your family? Is it only the grannies and aunties? 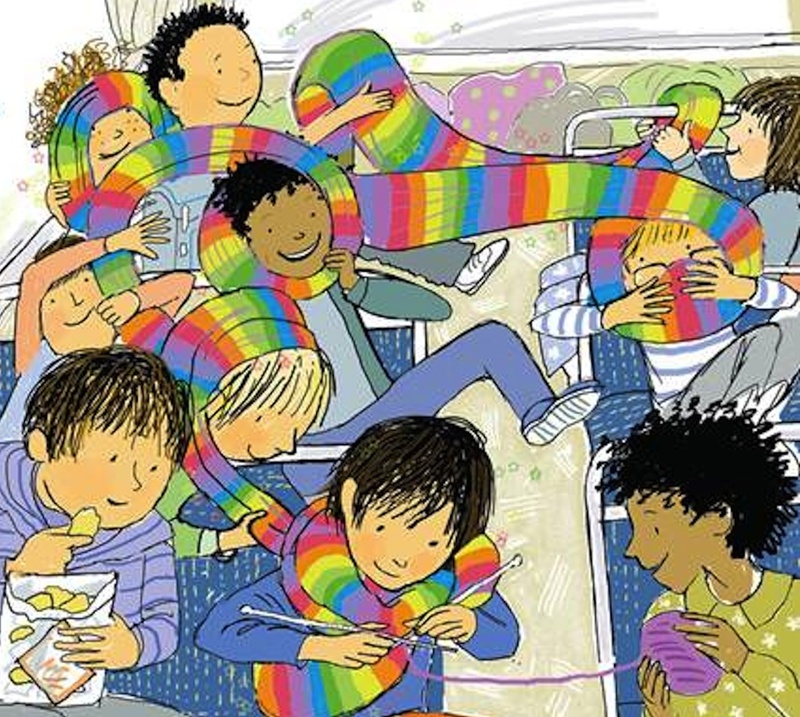 Raffi: Only me — I saw my teacher knitting during recess and she showed me. My parents were really surprised when I asked them if I could get some needles and yarn. Bekki: Where did you get those lovely drawings of yourself and the wool? 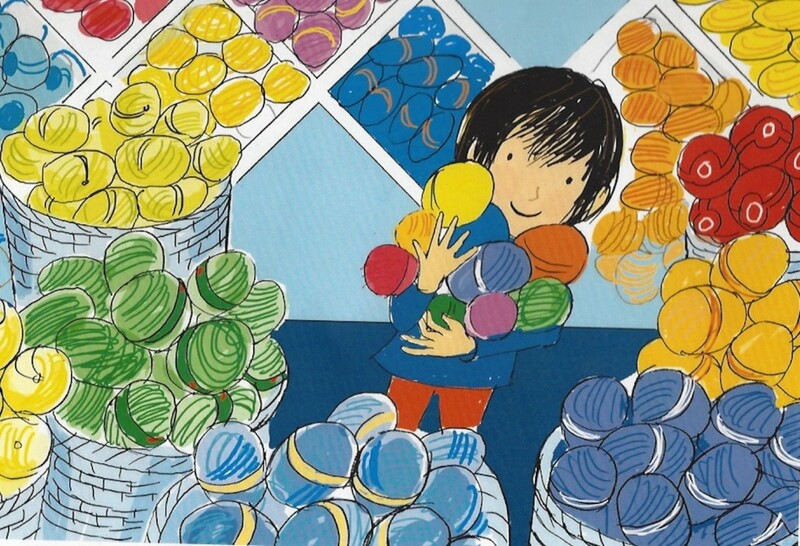 Raffi: My friend Margaret Chamberlain is a famous illustrator and she made them. Don’t you think it’s funny to see a drawing of yourself? Who made your drawings? How did they get you to sit still? Did you fly all over the room? Bekki: My mum was at all my photo shoots and she helps me be good. What is your favourite type of sheep? Raffi: I like the cute black faced ones. I like all kinds of animals, especially dogs. My dog’s name is Scamp. Do you have a pet? Bekki: Yes, I sometimes do spells on my cat and cat to make their lives fun. Do some sheep have better wool for knitting? Do you use real wool? Raffi: I do use real wool. I like merino wool because it is really soft, but it is harder to work with because it is so fragile. Sometimes I use acrylic yarn — it comes in the most awesome colors! Balls of yarn are just so cuddly! Bekki: What knitting project are you doing now? Raffi: I like to make presents for people. My mother’s birthday is coming up so I thought I would make her some gloves with each finger a different color. My first knitting project was a scarf for my dad. I just started knitting and finally when I stopped i didn’t realise the scarf was soooooo long. It ran the length of the school bus. Bekki: I am from London but I am a mixture. My family come from Ghana, Nigeria, Brazil, Portugal and Scotland. Where are you from and are you a mixture? Raffi: That is a mixture! I live in New York but was born in Russia, does that make me a mixture? Bekki: Of course it does! Congrats! My books are in English and Irish. What languages is your book in and how did you pick them? Raffi: My book is in eight languages (11 countries) with more coming: Italian, English, Danish, Dutch, Korean, Norweigian, Chinese and Taiwanese. I didn’t pick them, I think they picked me because they liked my story. Isn’t it cool that all over the world people like the same thing? I enjoy looking at the different kinds of writing, but my picture looks the same in every language – haha! Bekki: I won the three legged race in my School Sports Day. Have you won any prizes? Raffi: Wow – a three legged race sounds fun. Congratulations! I haven’t won any prizes, but I am not so good at sports. At school I am the person everyone comes to when they want clothing or costumes or any homemade craft things. I once made a pair of shoes! Bekki: I think you are being modest. i hear you are a Little Rebel. What’s that all about? Raffi: I was nominated for The Little Rebel’s Children’s Book Awards. They nominate kids like me who stand up for themselves and fight for social justice and equality and even change stereotypes. they narrowed it down to three really cool kids out of hundreds! Bekki: Ooooh! Props to you! Who wrote a book about you and why? Raffi: My Uncle Craig. He isn’t really my uncle, he’s my mom’s best friend. 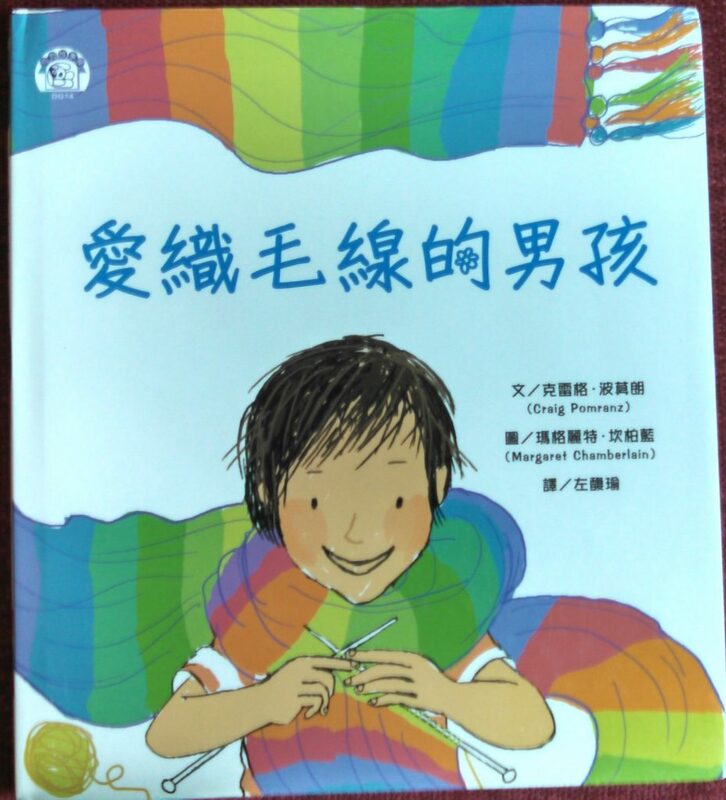 He wrote it because some kids at school teased me for being a boy who likes to knit, but I showed them knitting is cool! I think he hoped the story might help some other boys who like to sew and knit or even any kid who feels out of place. Are you surrounded by other fairies? Do you think you would feel out of place? Bekki: Out of place, me? Never. i am extraordinary and special! Will you be starring in any more books? Raffi: Gee, do you think I am a star? LOL. My uncle is working on a book about how I like to bake. I might share some of my recipes and show kids how much fun it is to be in the kitchen. I make white chocolate macadamia cookies! and who doesn’t like cookies!!! Bekki: Yes, you are a sparkly star cos you didn’t let the teasing put you off doing what you love. Bekki: It has been entertaining talking to you. If you like I can do a magic spell and turn you into anything you like for a few minutes. Raffi: You are great to talk to, Bekki. You’re the first fairy i have ever met! i think you are great and I hope we can be long time friends. Thank you for the magic spell! I’d love to be a bird for a bit and see as much of the world as possible from the sky, as long as it isn’t raining. Bekki hopes you liked her first ever interview. Now she wants be be a helpful fairy and tell you where you can find out more about Raffi and his uncle. Here’s is the website for Raffi’s uncle. He is actually a singer too and his name is Craig Pomranz. Remember we said there might be music? Well, have a listen to Uncle Craig singing about everyone being Different. And if you want the book you can find it on Amazon. Raffi is the kind of guy who just loves to knit! 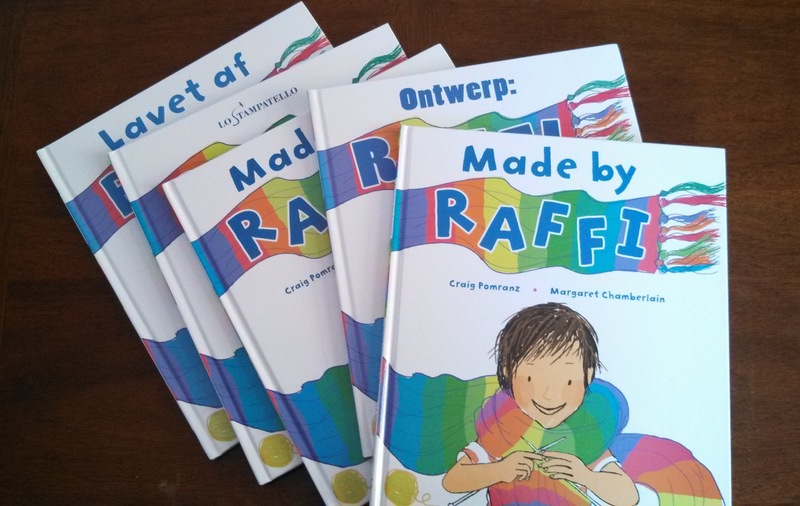 I am very happy to say that my first ever guest blogger is going to be Raffi from “Made by Raffi”, a book by Craig Pomeranz. Craig Pomeranz is a cabaret singer who has written a charming story about a little boy who loves to knit. When I first heard about Craig I was pretty envious. He is published by Frances Lincoln who do the Amazing Grace books. And his book is illustrated by Margaret Chamberlain who did the loveable artwork for My Two Grannies. What’s so special about this guy, I wondered. Plenty, it turns out. Craig has a lot to say about what in means to be a boy or girl in these modern times. His book has a light touch but makes powerful points about identity, gender-roles, love and encouragement. You’ll see what I mean when the blog comes in. Craig is a good sport and is going to let my character Bekki the Fairy interview his character Raffi. It should be fun and there might even be music! So, can a girl get a job in science that she might actually enjoy? Uh, yeah!!! Mumbi Dunjwa has a very cool life. Mumbi from Naturaz is a naturalista. Her products suit all hair types but she has a particular love of natural hair. Click on the pic to learn more. Mumbi’s family come fromKenya and she lives in the US. She is a scientist and has spent a lot of time in the lab developing products for black hair. As you might know lots of girls are great at maths and science when they are in school but not enough girls are making a career out of science. We are delighted to have Mumbi in our book showing how someone can have a cool career in the beauty industry using their science skills. All the baby-sitters in the book have different hairstyles. They are schoolgirls so we couldn’t go too crazy with the styles. Mumbi talks about braids, extensions and relaxers and how to care for your hair. Shea Moisture recently upset some of their core users by featuring a red-haired white model in their advertising. Some users were upset, not only because Shea Moisture seemed to be suggesting that red and afro hair were similar in how they led to discrimination, but also because they were supposedly reformulating their products. Geeky Mikita responded to the story by getting into the lab and mixing up her own products. This is not to make light of the situation or hurt feelings but to remind girls that they are not at the mercy of big companies. Many people went online to share the names of lesser known, much-loved black-owned companies. Studious STEM girls might like to read about the tree that gives us shea butter here. 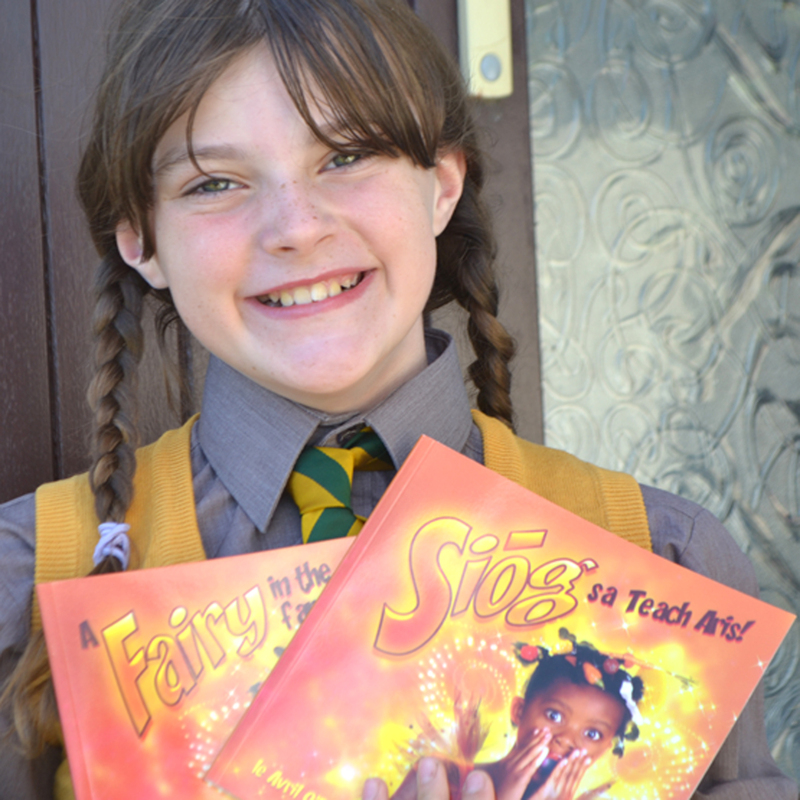 My fairy books are available in English and Irish. 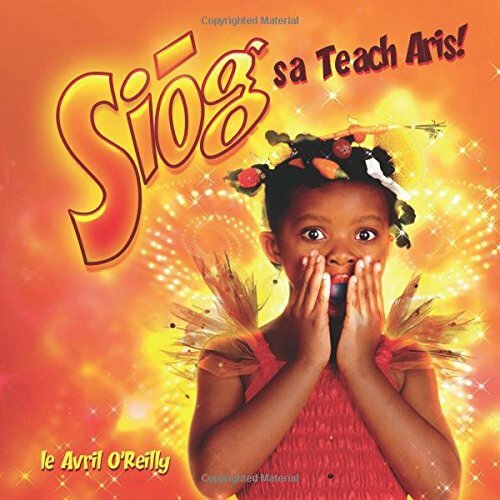 Most kids in Ireland are studying Irish and dual language books can be very useful. Reading a whole book in Irish is an achievement to be proud of. Here is some advice on using dual language books. One suggestion is to pre-read the book in English and then switch to Irish the following day. The idea is that the memory of the story will be fresh in your child’s mind and they will be able to make a good guess at any unfamiliar words. Another idea is to read the Irish book with your child, stopping when you come to any unfamiliar words. Of course you will have the translations to hand or a copy of the English book that you can consult but not your child. You want your child to make their best guess at the meaning of the Irish words. Most children love attention and will do their best to puzzle out what the book is saying when you are there to encourage them. Find a family member who can read aloud in Irish. Ask them to go into your child’s school to read the book. That gives a strong message about how important and valued Irish is to the family. I find that book reading followed by arts and crafts makes for a very pleasant school visit. Keep it light and keep it fun. 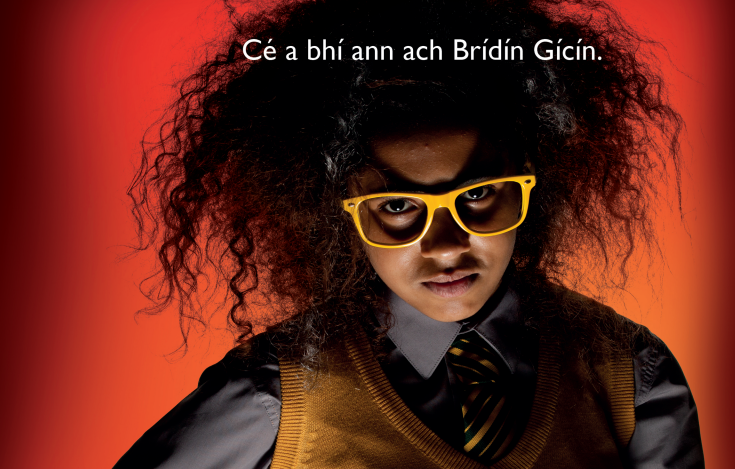 Brídín Gícín is a physics genius. She brings her physics homework with her when she baby-sits. No fun.